I deleted my Twitter, Facebook, and Instagram in the tail-end of 2017. It’s not that I wasn’t using them; If anything, I was using them too much. This was just the conclusion of a six-month, internal tug-of-war. It started shortly after the 2016 election. I, like many of my fellow coast-dwelling compatriots, was shocked by the results, but casually got on with my life. It was a few months later that we started to hear reports about “fake news”, Cambridge Analytica, and Russian tampering. Shortly after that, a lot of very good journalists started doing a lot of very good work. And they found that companies like Facebook and Twitter knew, ahead of the election, about Russian meddling; and the storm of controversy quickly ensued. The end, for me, came a few days after the Charlottesville protest. 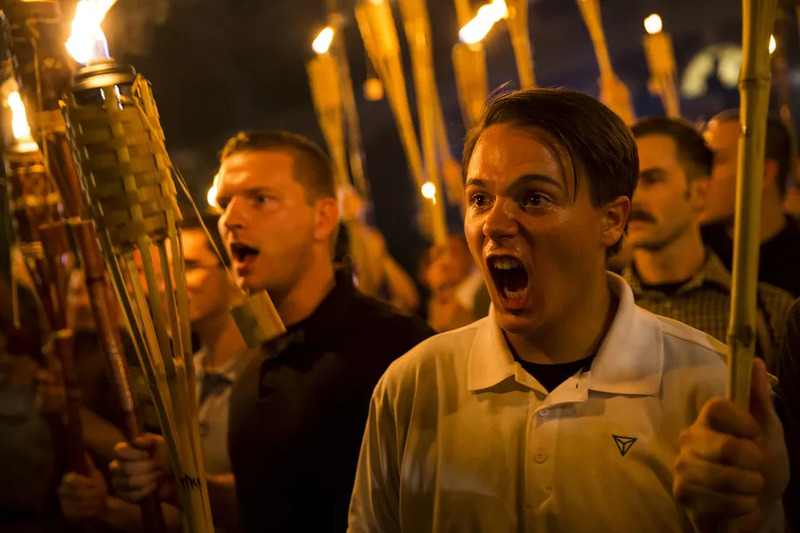 The one with the polo shirt, tiki torch dress code that ended with a woman’s death. The day after, I scrolled through about 2 hours worth of coverage on Twitter. Each tweet made the pit in my stomach grow bigger and bigger until I finally had to put my phone in another room to save myself from feeling any more despair. At that moment I started questioning why I was using social media. If my use of it results in, at best, a poor use of my time and, at worst, a drain on my happiness, it doesn’t seem like a useful thing. At that moment it became clear to me that these social media companies were not taking responsibility as a media company and public service. Twitter’s biggest problem was increasing character limits, not their role in an election that would help shape the next two decades. I then deleted (like really deleted, not deactivated) my Facebook, Instagram, and Twitter accounts and began my insufferable postulating about the evils of social media. Fast-forward to this class. I thought it’d either be a well-done, interesting, and thought-provoking look into social media and business, or it’d be a semester of a professor saying “companies should use social media” in three or four different ways. After the first class, however, I believe it will be the former. I’m a gigantic nerd and I love new technologies. I read books about blockchain, articles on machine learning, all that stuff. So I’m going to be geeking out over just about everything in this class. And from the video we watched last week, I have a feeling there’s going to be a lot more to think about than just the tech. On top of that, that class structure is something I’ve been waiting for for a long time. I’ve often thought that classes ought to be more peer to peer and collaborative. I think this class is going to hit that sweet spot where it’s collaborative without feeling like forced interaction. Overall, I’m really excited. I think this class will teach me a lot about emerging technologies and the blog and presentation will give me a chance to do a deep dive into a lot of technologies and companies that I might work with/for someday.